Cosmetic industry has seen number of changes and several products have been introduced to correct the imperfections in terms of beauty. You might have heard a lot about fillers which is getting popular every passing day. The latest to join the bandwagon is the Poly-L-Lactic Acid filler. Poly-L-Lactic Acid filler is approved by the US FDA mainly for the correction of facial lipoatrophy in patients infected with the human immunodeficiency virus (HIV). The market for poly-L-lactic acid however is larger for the normal aging process in non HIV infected patients rather than HIV-infected patients. Poly-L-lactic acid (PLA) has been in use since mid-1990s in many of orthopedic and maxillofacial applications however it was recently that the US FDA approved PLA for correction of HIV-associated facial lipoatrophy. How does poly-L-lactic acid filler work for anti-aging? The skin loses its collagen over the time. By injecting poly-L-lactic acid filler the lost collagen will be replaced. Collagen happens to be the key structural component to keep skin youthful looking and smooth. The reinforced collagen structure will provide a foundation that will help to gradually restore the look of fullness of your shallow to deep facial wrinkles as well as folds which were depleted over the time. 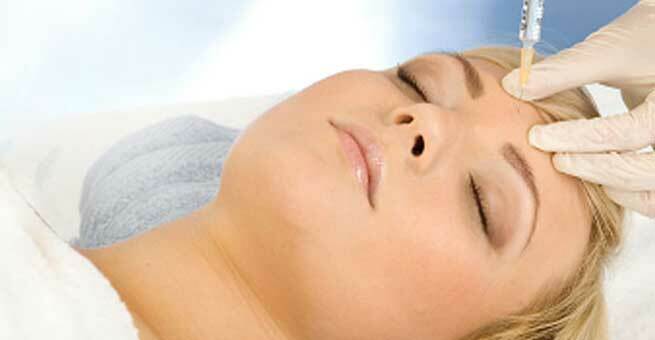 This procedure helps to endow a refined, more youthful looking appearance which will last more than two years. This procedure can be done on people with healthy immune system. Where exactly can Poly-L-lactic acid for anti-aging treatment be done on? Poly-L-lactic-acid is a synthetic polymer which is composed of nontoxic natural monomers (lactic-acid).When it is injected into the skin; it breaks down into monomers inside the tissue. There will not be of any toxicity as lactic acid happens to be a chemical that is found in the body. Apart from that, poly-L-lactic-acid lasts longer compared to other fillers like hyaluronic acid or collagen. How is Poly-L-lactic Acid anti-aging filler treatment done? Poly-L-lactic Acid is injected below the surface of the skin where there is a fat loss. This basically provides more thickness to the skin. The number of injections per treatment will depend on the degree of correction you require. Your doctor may use a topical anesthetic. There are chances of you experiencing injection site discomfort in the treatment process. This treatment should not be done if you have an active infection or skin inflammation anywhere near the targeted injection site. The above mentioned are the temporary side effects which will decrease in 3 to 5 days, other than these there are chances of developing small bumps under the skin of the treated area which will happen after some days. The bumps are however not always visible and are detected when the skin is pressed. Immediately after the treatment you may experience swelling. The swelling however will subside in few days and the wrinkles will appear but it will be temporary. The results will start to show up within first few weeks after each treatment. To get the best results you must complete the full course of treatment that is recommended by your doctor.